We searched high and low for things that can have a great impact in creating a warm, comfortable and inviting outdoor space to relax in. Our list of OUTDOOR ACCESSORIES 2018 delivers the goods! 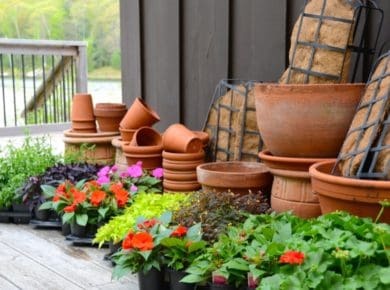 You might have already incorporated some of these items into your outdoor space, and adding the rest will help create a setting you can enjoy for years to come. We’re listing our top picks along with where we purchased them, but if you have a favourite at your trusted local supplier, go for it. Everyone’s taste is different. MUSKOKA CHAIRS – We’re head over heels in love with these attractive and comfortable chairs, complete with their distinctive design. 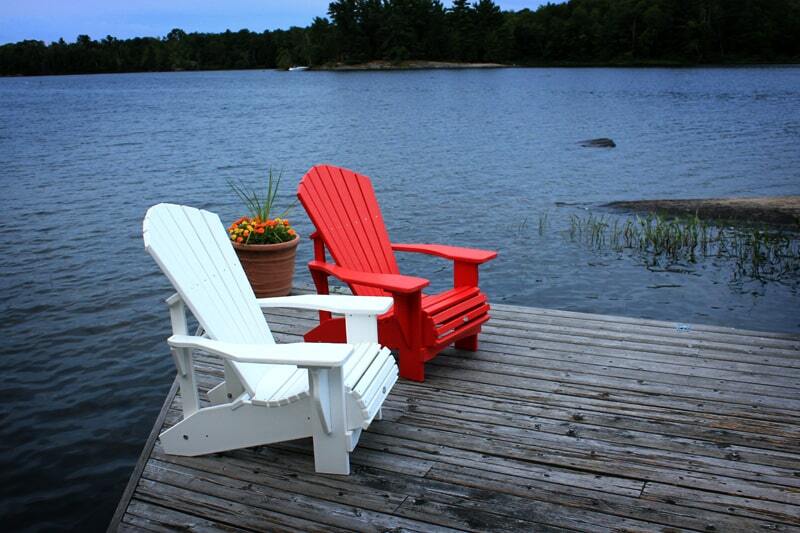 Created by the MUSKOKA CHAIR COMPANY, they’re available in recycled plastic or fragrant cedar. You can pick them up assembled or have a kit sent to you for assembly at home. Make sure to look at the wide range of colours available in the recycled plastic versions. Order them online HERE. 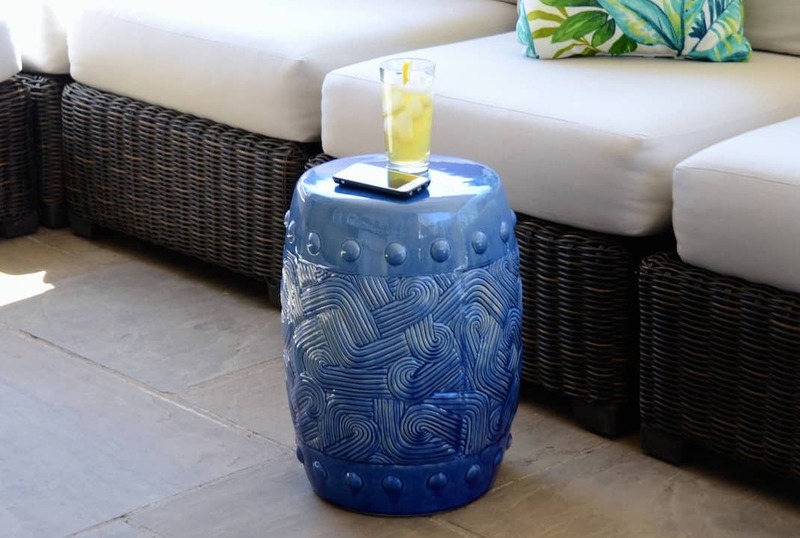 SIDE TABLES – We couldn’t believe our eyes when we saw these absolutely charming glazed ceramic tables, available from a number of online stores. We purchased ours from WINNERS and love how easy they are to lift and move when you or your guests need a flat surface for drinks, books and other things we all like to keep close at hand. One suggestion – remember to pick a colour that suits your outdoor furniture. 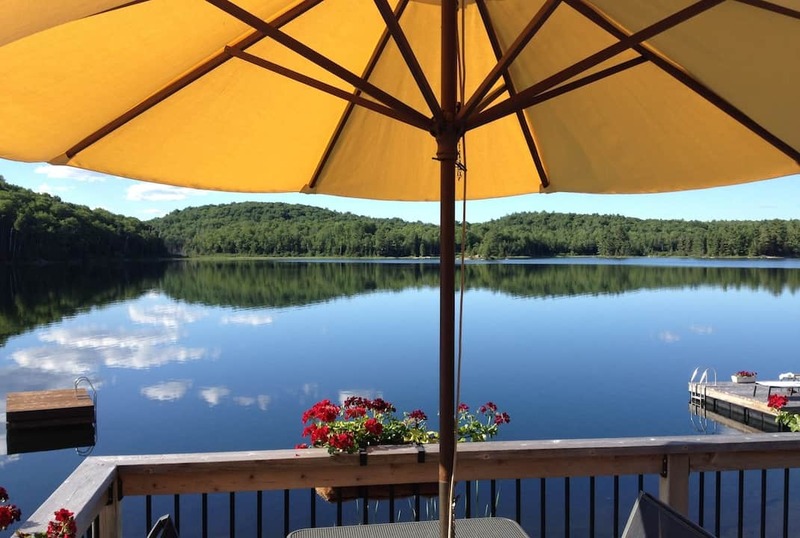 UMBRELLA AND BASE – The handy outdoor umbrella we picked up at HUDSON’S BAY has long been a favourite, as it can be easily moved and adjusted to offer shade whenever and wherever we need it. They come in a wide range of colours and striped patterns, but their durable, sturdy construction makes them reliable even on a gusty day. We also suggest you purchase a base and umbrella cover at the same time. OUTDOOR RUG – Placing a durable outdoor rug out as the foundation for a sitting or dining area is often a great way of tying a look together. KENDALL & CO. in Toronto offers a wide range of sizes and styles. 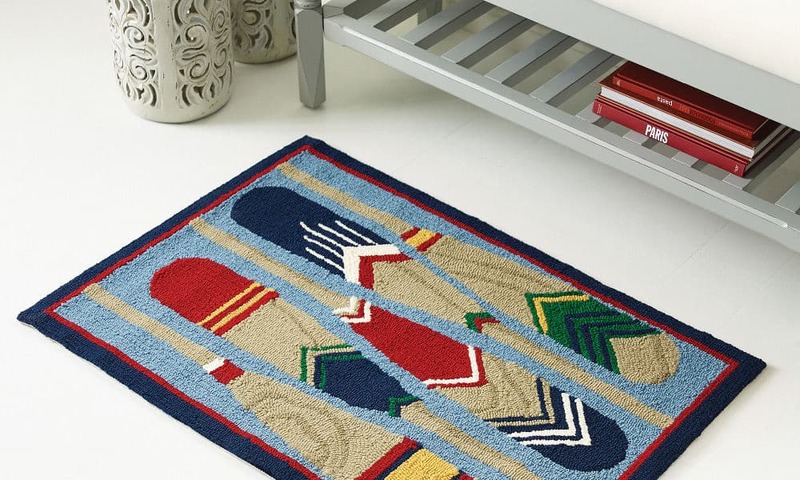 Their paisley and stripe patterns will add a welcome pop of colour to outdoor spaces, but we also love the cottage motif featured on the doormat we’ve now added to our collection. When in Toronto, stop by their store to see the full collection, or if you live further afield, purchase online by clicking HERE. 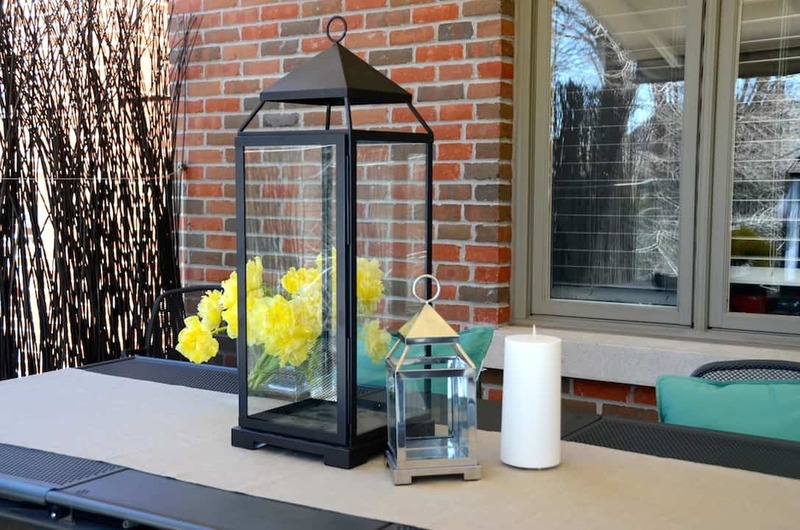 LANTERNS – Placing out a few oversized lanterns in an outdoor space will add light and warmth to the area. THE POTTERY BARN offers a wide range of options, but we think the black or chrome ones featured in this story are extra-special since they can work both in a city or up in the country. They also have real and faux pillar candles available that fit perfectly within. 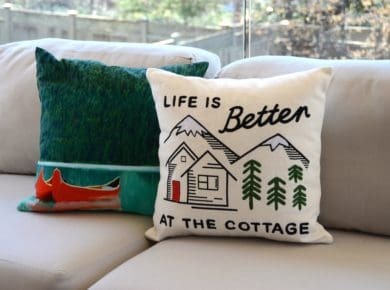 THROW PILLOWS – Placing a throw pillow on an outdoor chair can add a hit of colour, and this added touch won’t go unnoticed by your guests – they’re always nice to sit or lean back on. 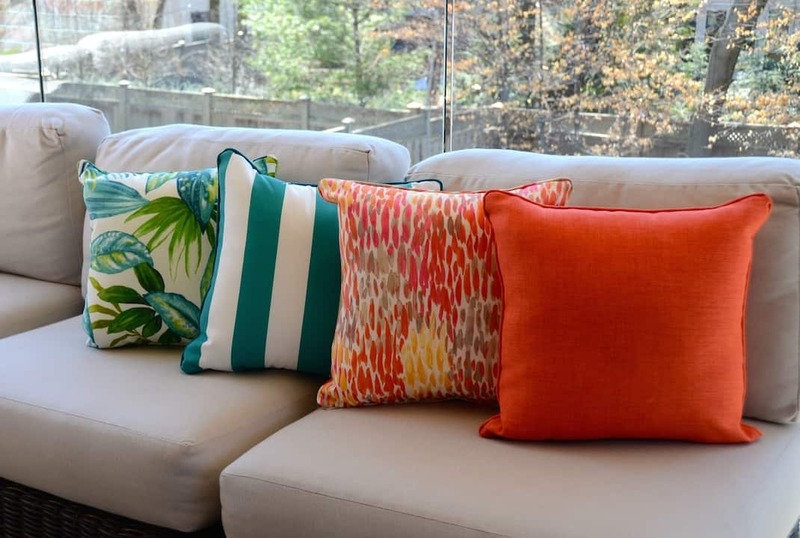 We found our pillows at HUDSON’S BAY and suggest you follow suit and select ones that are either brightly coloured or boast a vibrant pattern. 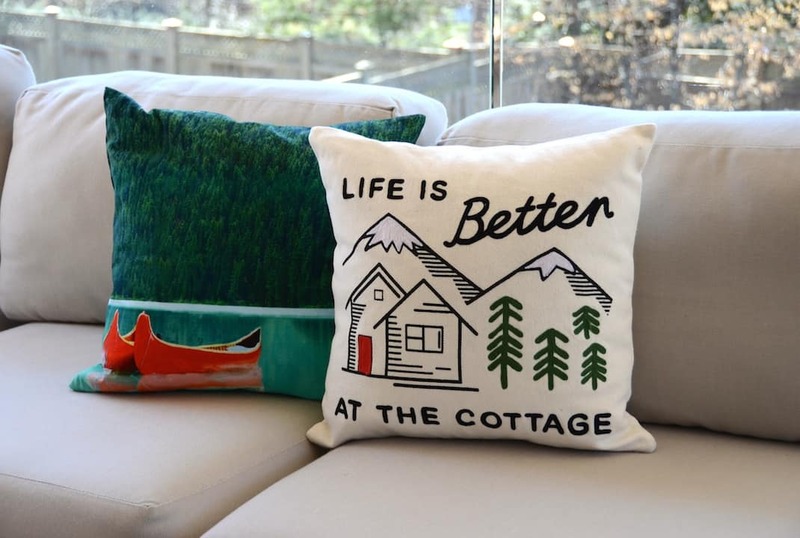 We also found some cottage motif pillows at INDIGO and instantly knew they was perfect for the cottage setting. 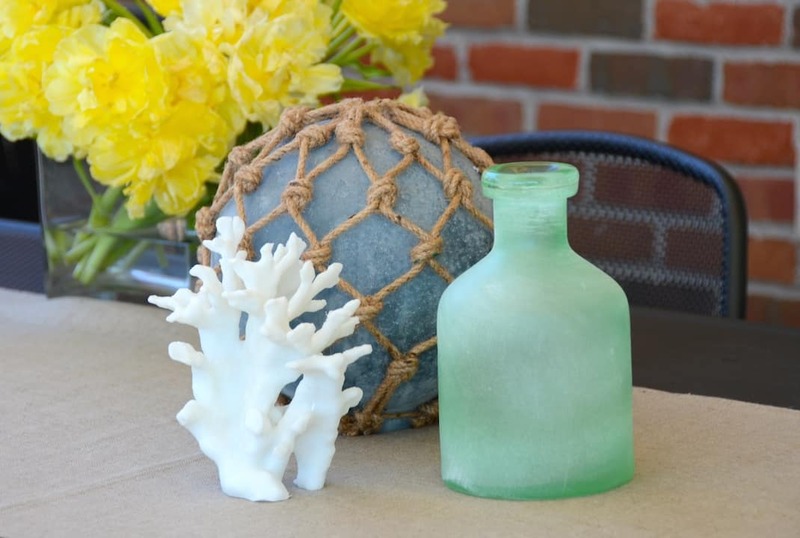 THEMED MOTIF – While in THE POTTERY BARN, we gathered a number of items to create a beach theme. 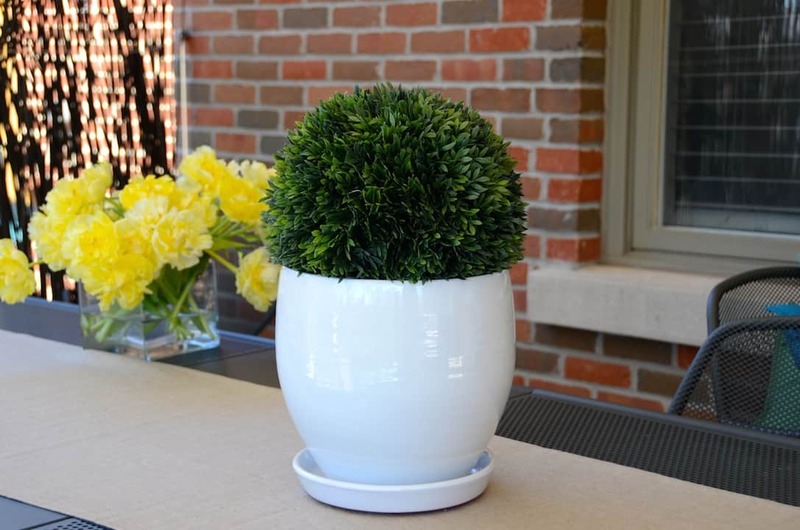 The combination of the vase, decorative nautical orb and small faux coral spray all add to this specific look. To achieve a themed motif, look for items that work together in reflecting the look you’re after – for example, galvanized tin accessories look rustic, brightly painted ceramics give the feel of the Mediterranean, while clean white items reflect a city sensibility. 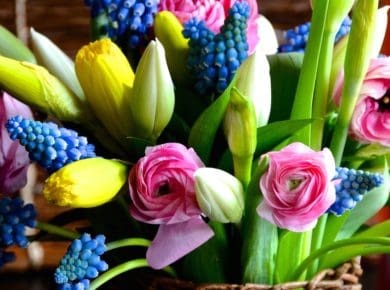 Adding such groupings can also make a table or display area reflect your personal tastes. OUTDOOR PLANTERS AND POTS – A friend of ours sent us a photo of her outdoor planters filled with her favourite herbs. 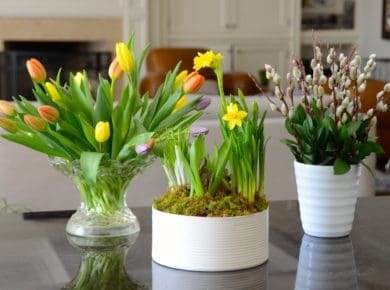 We do the same thing at the cottage and think the addition of these moveable accessories with herbs or fresh florals help brighten any space. We purchased ours at CRATE & BARREL. THROWS – Having an attractive throw within arm’s reach is always a good idea for when you are outdoors and the setting sun brings in a chill. Place throws on the back of dining or occasional chairs so that you and your guests can stay warm and cozy when conversation continues late into your summer night. 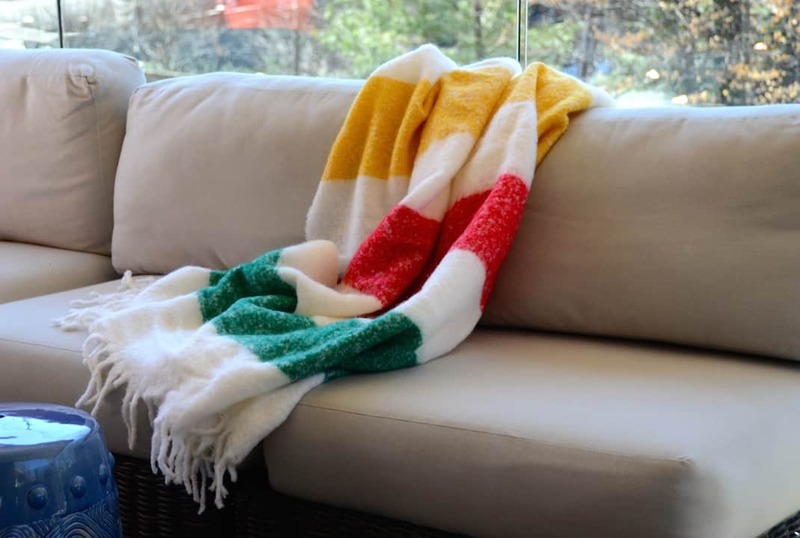 We picked up this classic wool throw at HUDSON’S BAY. Check out our suggestions for OUTDOOR ACCESSORIES 2018 and turn your outdoor space into an oasis of comfort and good taste. 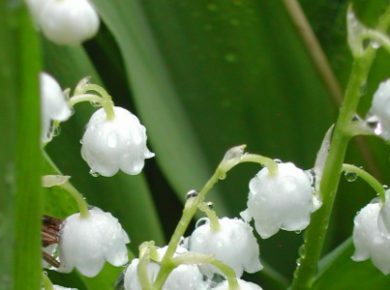 These SEASONAL MUST-HAVES are your perfect arsenal for an OUTDOOR MAKEOVER.